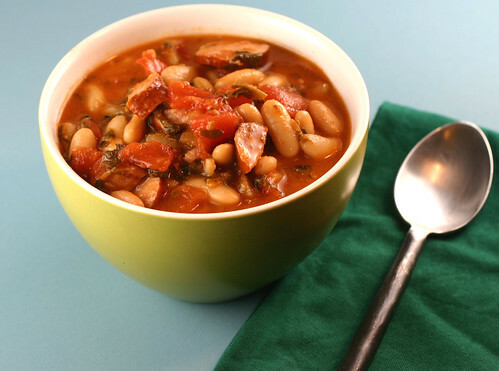 A couple of years ago I found myself with a plethora of frozen spinach, canned tomatoes and white beans – I threw them in a pot and so began our love for White Bean Soup, but not until I prepared the beans this way did the soup truly reach nirvana. optional to add a little (approx 1 -2 tsp each) rosemary and basil, but really only if you put in plain white beans do you need these. Great soup Mary. Wonderfully illustrated, as always. I have something for you on my blog, happy Friday! Love the sound of it. I have to try this. another delicious healthy soup well done!